Izenda provides a platform for self-service analytics in an embedded BI environment. The emergence of visual analytics platforms over the last five years or so has seen the emergence of numerous platforms that treat BI as a stand-alone environment, with separate hardware and software architectures, and applications divorced from day-to-day business. This model for BI will probably disappear as quickly as it arose, and the embedding of BI capability within production applications is an obvious, and more powerful use of BI technologies. There will always be a need for stand-alone BI visual analytics platforms for data scientists, business analysts and other power users, but this is a specialist need rather than the widespread use of visual analytics to enhance business performance. Against this background Izenda is very well positioned to benefit from a change of emphasis, as the market for self-service visual analytics tools matures, and businesses strive to deliver analytic capability to all who need it . This should not however be interpreted as large populations of users spending most of their working day slicing and dicing data – they have other things to do. But simply the availability of data visualizations, and easy-to-use tools as and when they are needed. Traditionally Izenda has served the ISV market, and has offered complete white labeling for businesses wishing to deliver information through reports, dashboards and other visual artifacts, mainly to customers or internally to employees. However as businesses become more concerned with the broad availability of analytical capability, so Izenda will appeal to businesses for internal use, as well as serving information to customers. From a technical perspective Izenda is essentially a substantial add-on to the Microsoft .Net environment, providing the self-service, embedded analytics capability that is not so well satisfied by Microsoft’s own SSRS (SQL Server Reporting Services) or the still immature Power BI. Izenda will also benefit from the development of .Net Core, an architecture that allows .Net based applications to execute on other operating systems – particularly Linux. The broad capability of Izenda includes reporting, charts, dashboards, maps, gauges and other visual items. Data connections are live to the most popular databases, although cacheing can be used for particularly heavy duty querying. Single sign-on and security down to the data item level mean authorization management and governance are mature and flexible. But it is the embedding capability that distinguishes Izenda – it is sophisticated and mature, and allows a business to offer self-service data visualization to a broad population, in a manner that is both low cost, and frees users from dependency on IT resources. Izenda is quite different from products such as Tableau and Qlik Sense. These latter tend to be stand-alone products. Izenda is better seen as a competitor to products such as Logi Info and Dundas, where embedding is a major part of the product architecture. As more organizations come to realize they need integrated visual analytics, and easy-to-use self service capability, so embedded analytics platforms, such as the one offered by Izenda should benefit. Izenda is essentially a web application, and as such the interface is browser based and visuals are rendered in HTML5 – so pretty much all devices are supported. As an extension of the Microsoft .Net architecture it supports contemporary visual architectures such as Web Forms and MVC (Model View Controller). Unlike many BI platforms which aggregate data in their own databases, Izenda goes directly to the various data sources and gives a real-time view of data. The user interface is graphical in nature with drag and drop construction of reports and visuals. Dynamic pivots allow users to slice and dice data as they wish, and the provision of filters and the ability to create new fields as needed is straight forward. The ease-of-use is extended through search based report creation employing a Google-like search interface. 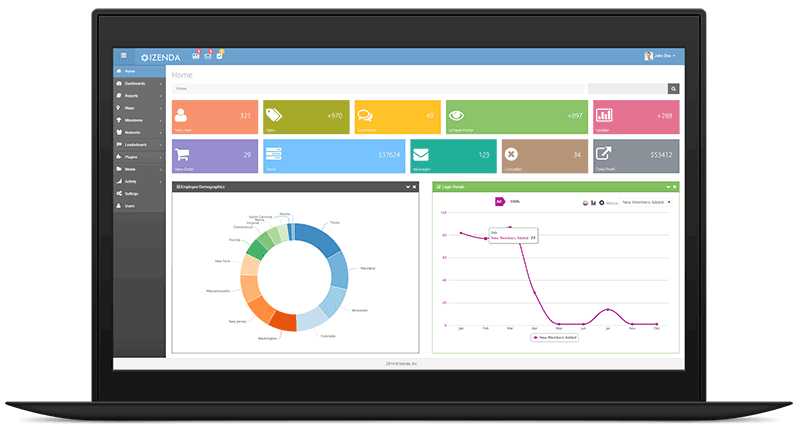 Dashboards are easily created using the drag and drop interface, and can be shared and printed with similar ease. 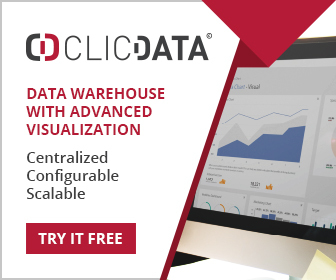 Automatic drill-down is available to get to detail, and in-memory pivots support the speedy handling of large data volumes. Features such as conditional formatting and expressions are easily created, and because the whole architecture is web based, the dashboards can be viewed and manipulated on desktop and mobile devices. Finally Izenda Forms supports the creation of legacy reports and documents. Users create customer forms with the Forms module, which is also a browser based, WYSIWYG designer. Izenda runs directly against most popular databases – MySQL, Microsoft SQL Server, Oracle, and PostgreSQL. The heart of Izenda is an automated query building engine, and this supports complex queries without having to write SQL. It automatically recognizes existing constraints (primary and foreign key relationships), tables, and views for all database systems. It also allows for the consumption of MSSQL stored procedures as data sources. Once connected to a database users can utilize Izenda’s code-based API to configure, categorize, alias and secure data. The aliasing and categorization settings present the end-user with an easy to understand, business relevant set of names and groupings. With the Fusion tool, data can be obtained simultaneously from a variety of data providers, such as a MSSQL database and an Oracle database. Appropriate connection strings are all that is needed to access disparate data as if it is coming from a single source. Using an exposed driver method, custom connectors can be written to utilize APIs, Web Services and XML data sources. There are literally dozens of BI platforms that an organization might choose from. However when we start to look for scalable, easy-to-use, affordable BI platforms that address the need for embedded, widely available BI capability, then the field narrows somewhat. Several open source platforms are available, but they are typically difficult to use and require a large team of programmers. Birst, Pentaho, Jaspersoft and SpagoBI come under this umbrella. Several cloud BI platforms also support embedded BI – Birst and Yellowfin being two good examples. These offer some form of API so that applications can call the relevant visuals and reports as needed. And then we have a category of platforms that include Izenda, where a relatively easy to use set of tools are provided for the creation of visual artifacts, and efficient embedding mechanisms for mass consumption of those same artifacts. JReport, Logi Analytics and Izenda qualify for this group. Platforms such as Tableau, Qlik and Spotfire address a wholly different need, and shouldn’t really be compared with Izenda. They provide very advanced data visualization capability, but relatively poor mechanisms for embedding. They serve the needs of the ‘elite’ analyst very well, but not the mass of users who need BI capability adding to production applications. What distinguishes Izenda from most of the competition is its very close integration with the operational environment. This model of BI is in many respects the future of BI, and the very competitive pricing (based on business size) makes the platform attractive to many businesses – ISVs particularly. Izenda has provided embeddable BI for over a decade. It is a privately held company with around 100 employees, 1600 deployments and over a million users. In 2014 it successfully completed a Series A funding, and is experiencing 100% year on year growth.